Traction art director, Jon Eslinger, submitted sketches and personality profiles for each of the four characters. I translated these personalities into sketches inspired by Jon’s profiles. I later learned that each of these characters would potentially become an adult-sized mascot costume making the squirrel, rabbit and owl characters a physical impossibility. After several revisions and edits, the final four mascots were ready to campaign. Lake Trust engaged in an active social media campaign whereby credit union members were encouraged to ‘vote’ for their favorite mascot. The people voted and Ollie the owl was elected Lake Trust Grow’s official mascot. Stand-up displays were created as well as a full size mascot costume. Traction, under the art direction of Jon Eslinger, commissioned my services in an ad campaign for Lake Trust Credit Union. 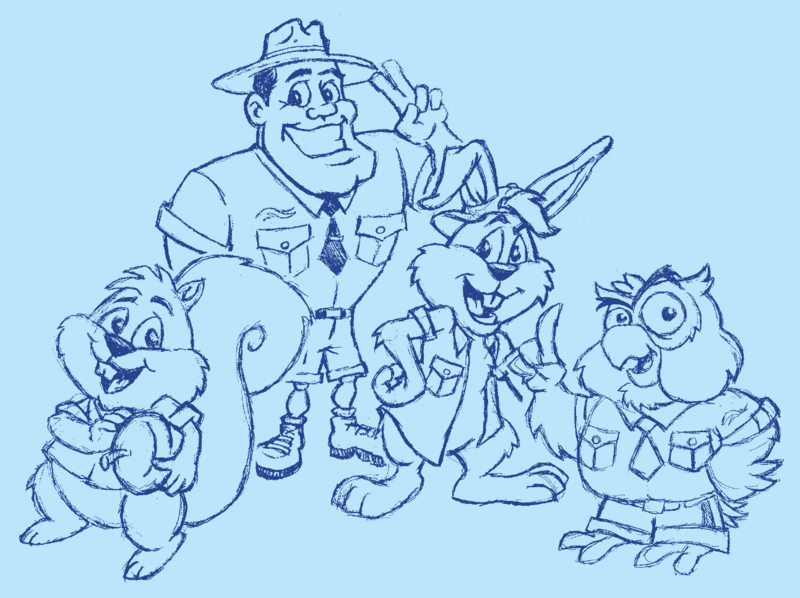 Jon provided detailed profiles and sketches for the personalities of four different mascot characters – a squirrel, owl, ranger and rabbit. The goal would be to create full-color representations of these mascots so that the Lake Trust customers could take an active role in ‘electing’ the one character they wanted to represent Lake Trust in a mock election campaign. The winning candidate would represent the Lake Trust Grow program – a savings program targeting younger investors. After several revisions four characters were completed to compete via web site and social media. Ollie the Owl was elected the winner. Subsequent collateral materials were developed using this character including an adult-size mascot costume for special events and promotions.